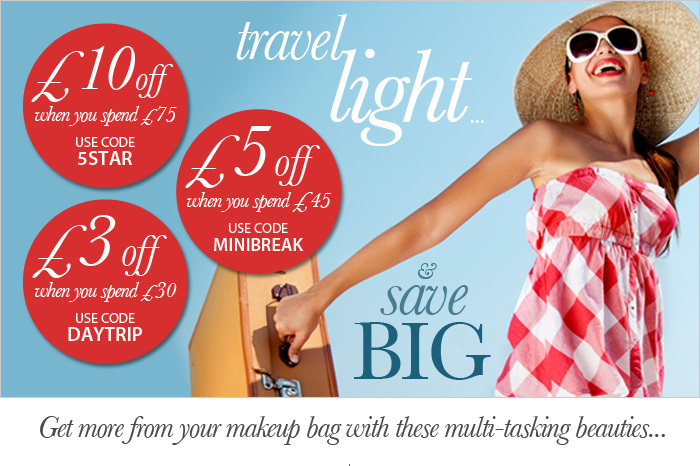 FeelUnique.com is currently offering the following promotional codes from Monday 25th June until Midnight BST Sunday 1st July 2012. The codes exclude Stila, Gatineau, Mary Cohr, ghd, Ole Henriksen; Lily Lolo, and each code can be used once per customer. 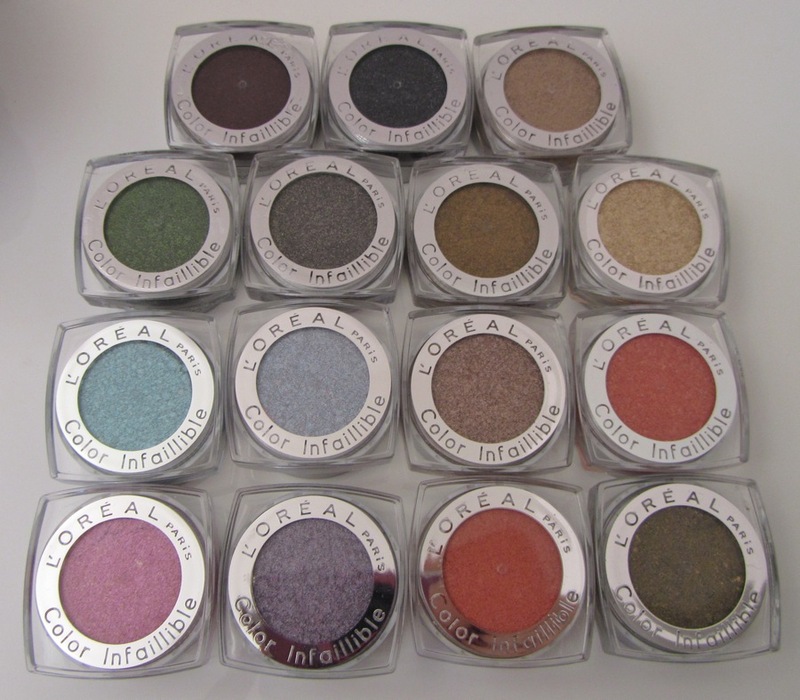 They offer free international shipping but some products can only be shipped to certain countries. I've ordered twice from them and both transactions went very smoothly. Nails Inc Picadilly Arcade is one of four new shades introduced this spring as part of the Nail Jewellery Line, which contain hand cut glitter that dazzle like precious stones. 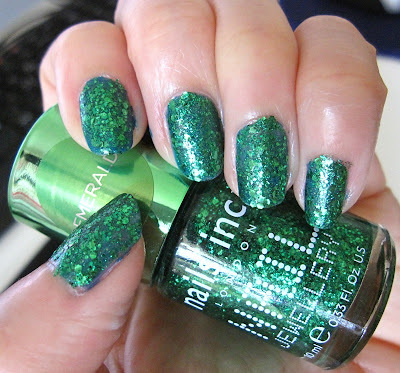 The formula runs slightly thick but it lays down the glitter particles more generously than other glitter nail polishes that I've tried. 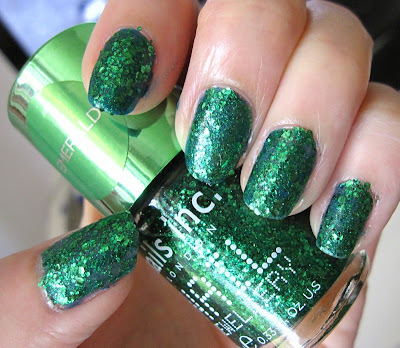 With just one coat, my nails were covered in a sparkling dense mesh of glitter, although there were a couple of spots that required touch-ups. 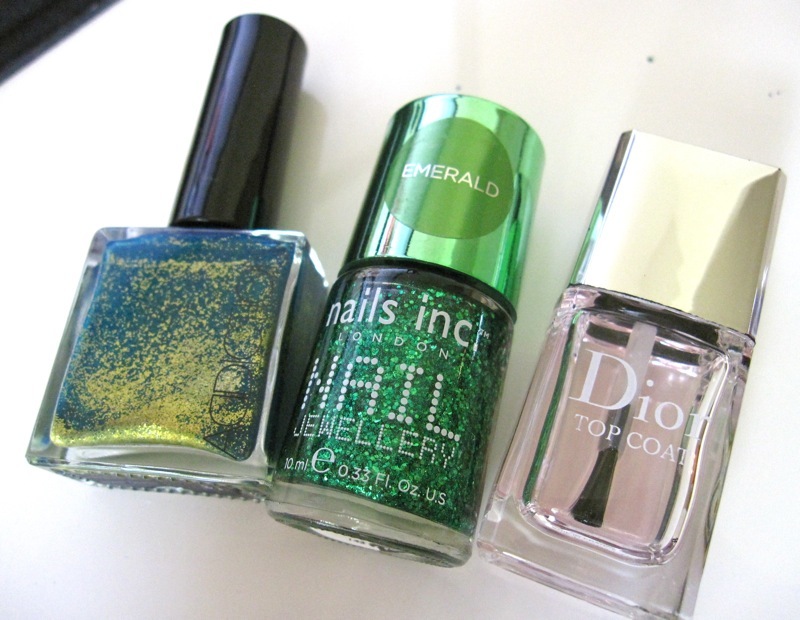 I applied one coat of Addiction Jewel Beetle before applying Picadilly Arcade, and topping off with Dior Top Coat. 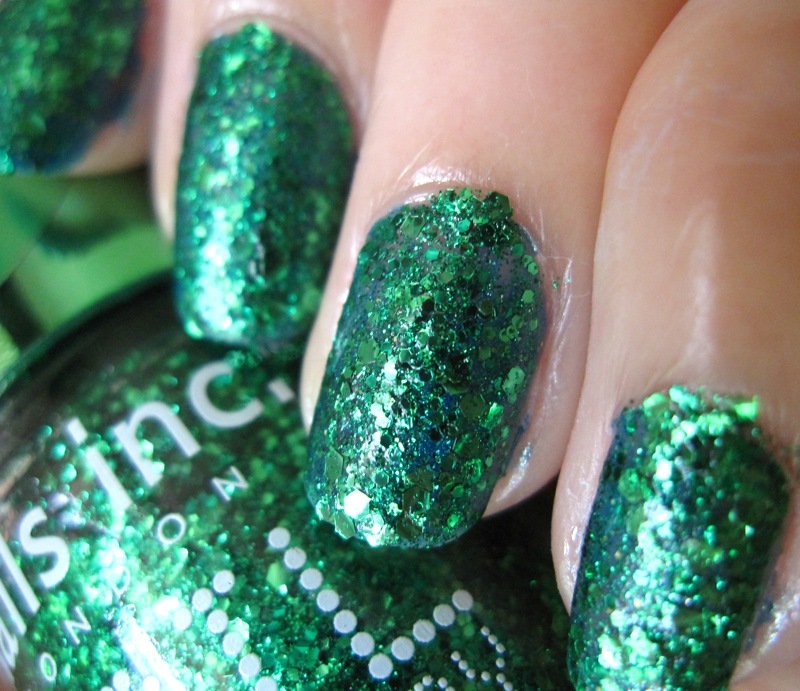 The glitter is a mix of hexagonal pieces and smaller round pieces. They do feel gritty to touch so I added another two coats of Canmake Gel Volume Top Coat for a smoother finish. The vibrant emerald is full of sparkly goodness, like a blinged-up version of China Glaze Emerald Sparkle on steroids. I expect that it will be a pain to remove but until then, I'm enjoying its lively gem-like shininess. Picadilly Arcade is available for £11 on Beautybay.com (which ships internationally for free from the UK) and for US$9.50 on Sephora.com in the US. Despite being a British brand, the retail price in the UK is bizarrely almost twice that in the US. 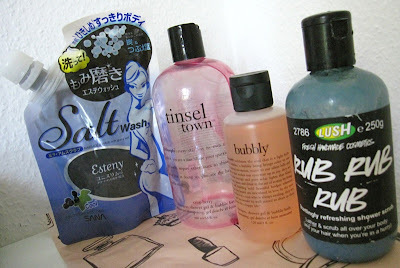 This week's photo meme started by Yumeko is about bodycare so here goes! I'm close to finishing Philosophy Tinsel Town, which was a holiday release, and moving on to their Bubbly next. 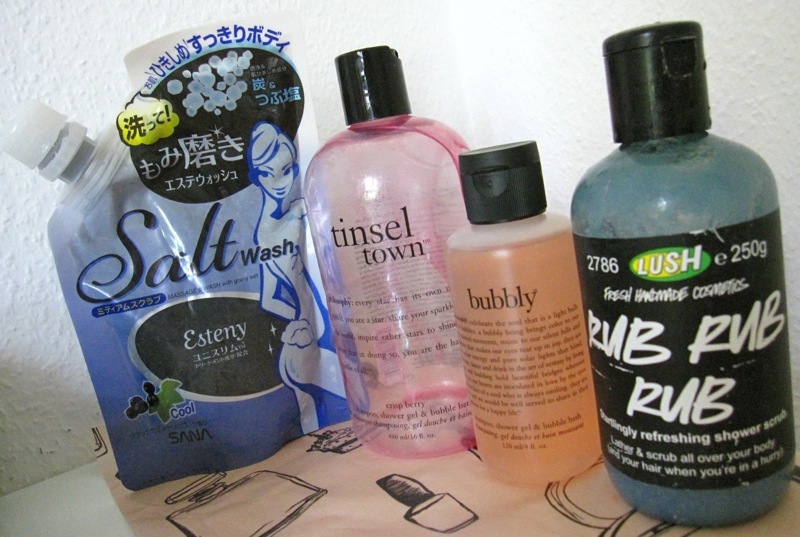 A couple of times a week, I use either Lush Rub Rub Rub or Sana Esteny Salt Wash. The blue crystals of Rub Rub Rub always reminds me of Icee (like 7-Eleven Slurpee) from my childhood. 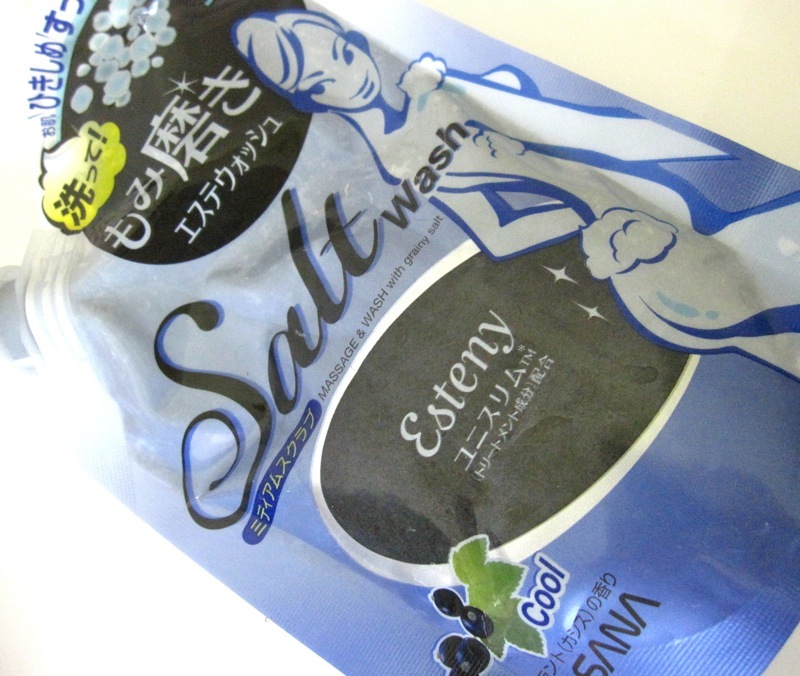 Esteny Salt Wash is a charcoal and salt scrub that gives invigorating exfoliating action. I found this last year at Sasa in Singapore for $20.90. It retails in Japan for 1050yen for 250g. 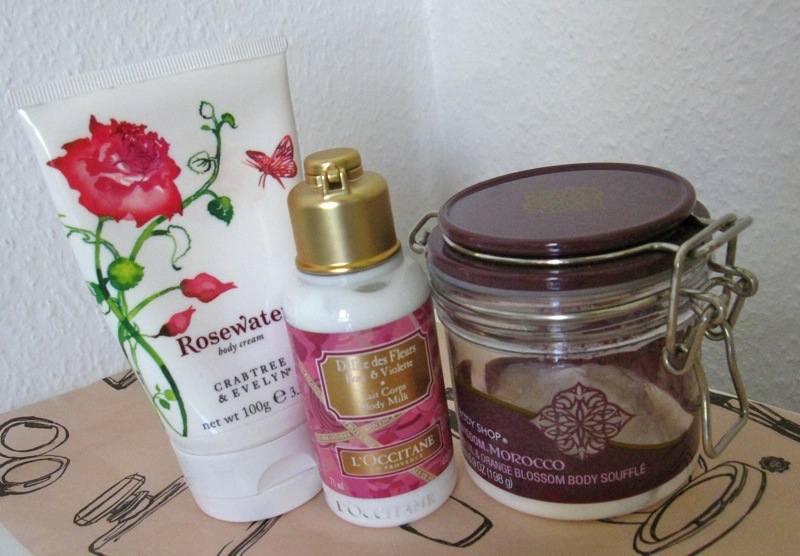 Even in the summer, the skin on my legs still get very dry, so I've been using the Body Shop Spa Wisdom Morocco Argan Oil & Orange Blossom Body Souffle, L'Occitane Delice des Fleurs Rose & Violette Body Milk and Crabtree & Evelyn Rosewater Body Cream. These absorb quickly without making my skin feel greasy. 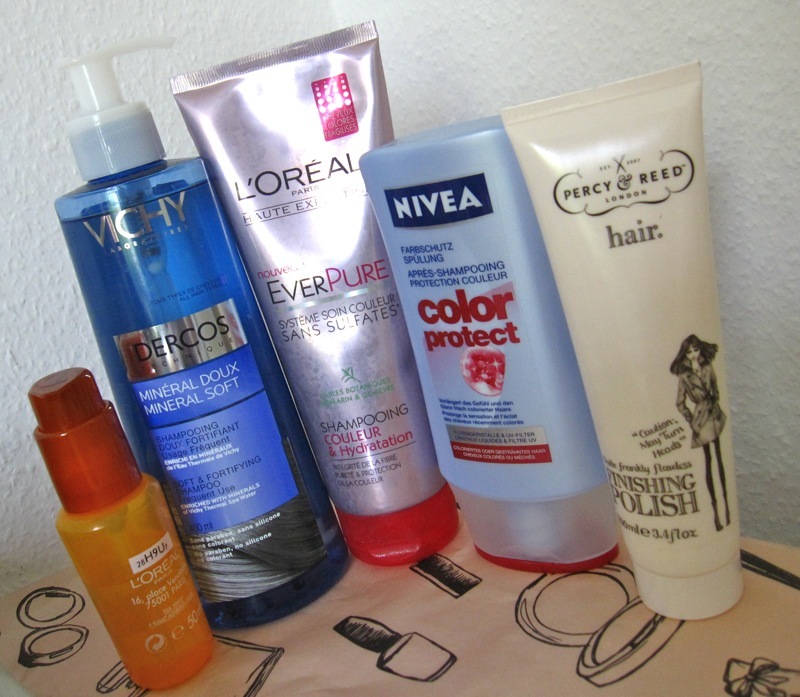 For my dry, colored hair, I recently started using L'Oreal EverPure Shampoo and Vichy Dercos Mineral Soft shampoo. 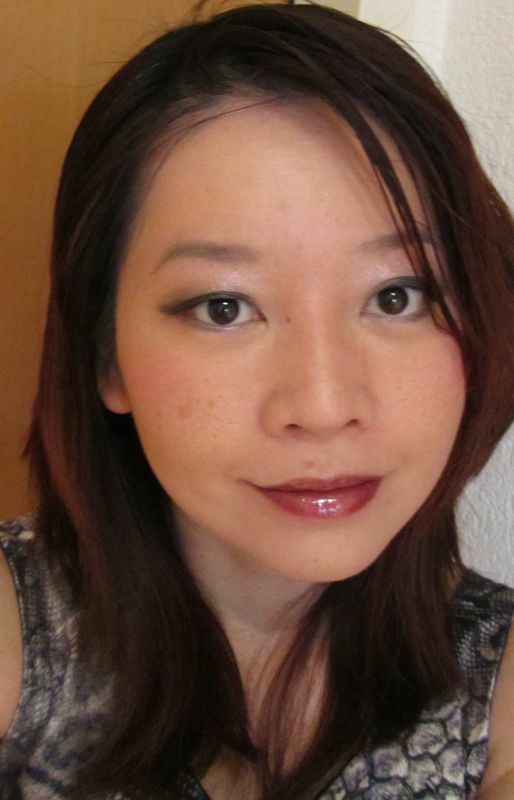 EverPure lathers up surprisingly well, despite being sulfate-free and leaves my hair tangle-free. 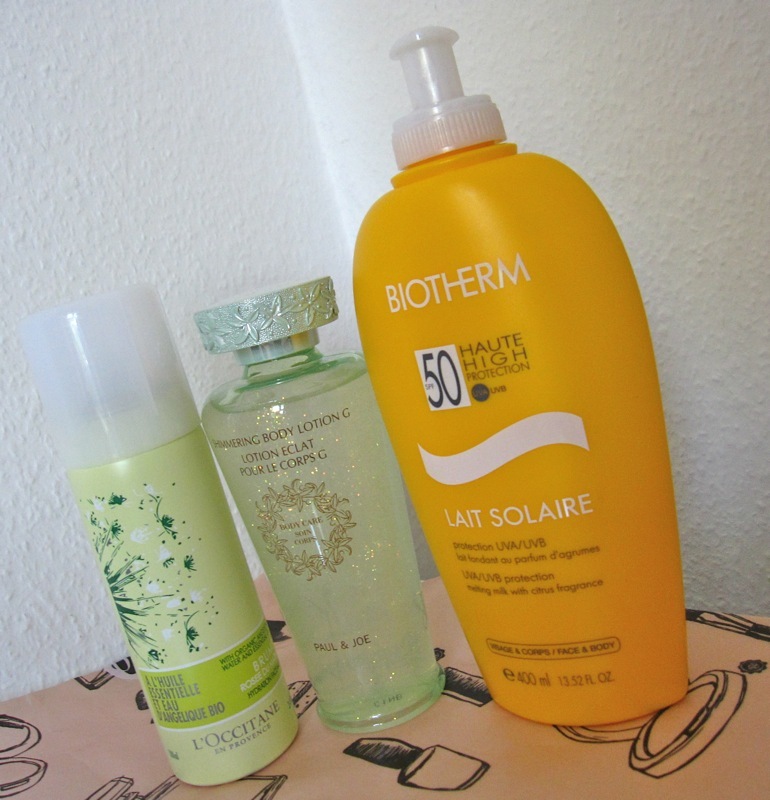 For taming the frizz and flyaways, I've been relying on Percy & Reed Finishing Polish and L'Oreal Elseve Liss-Intense Serum. Recently, I've been rotating through Jo Malone Plum Blossom, Jo Loves Pomelo, Estee Lauder Bronze Goddess and Taylor Swift Wonderstruck. Pomelo is my favourite of the lot, for its sparkling freshness. 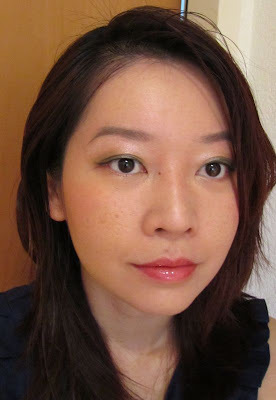 Plum Blossom is a gentle sweet floral that does not last that long on me. Bronze Goddess has a relaxing beach vacation vibe. Recently released in Singapore at Sephora, Wonderstruck is a gift from a very kind friend. It has very sweet notes of raspberry and peach. The antique charms are a nice whimsical touch. 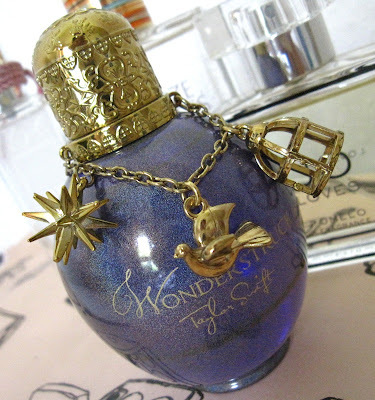 At least the bottle looks like an original design, unlike the shameless ripoff by Justin Bieber's Someday (of Marc Jacobs Lola) and Selena Gomez's eponymous fragrance (of the lips from the Guerlain Rouge Automatic ad). It's not as sweltering here as Singapore yet but buildings in Switzerland are usually not equipped with air conditioners, so you can imagine how stuffy it gets. I'm trying to be more diligent in applying sunblock with the Biotherm Lait Solaire SPF50 but like most sunscreen lotions, it makes my skin feel slightly greasy. 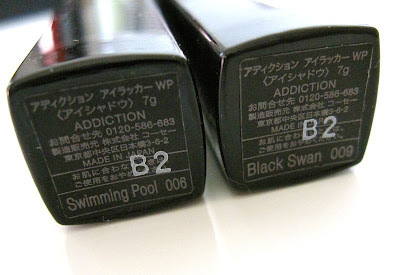 To help cool down, I've been relying on L'Occitane's new Angelica Hydration face mist and Paul & Joe Shimmering Body Lotion G.
For this summer, Addiction debuted a new Eye Lacquer WP (2625yen, 7g) as part of the Lady of the Lake collection. 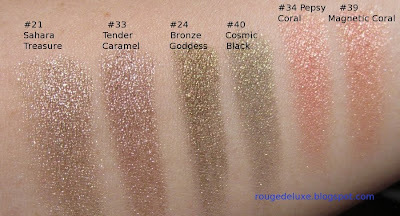 Available in nine shades, these waterproof, fragrance-free liquid eyeshadows have a lacquer-like glossy shine and contain rose centifolia extract. 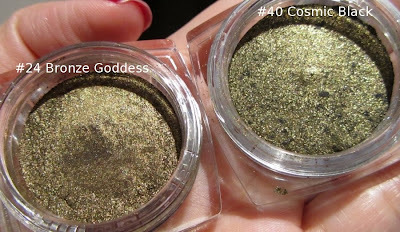 I had high hopes for these as Visee Aqua Shining Eyes and Beaute de Kose Eye Fantasist were my favourite cream eyeshadows that have since been discontinued. 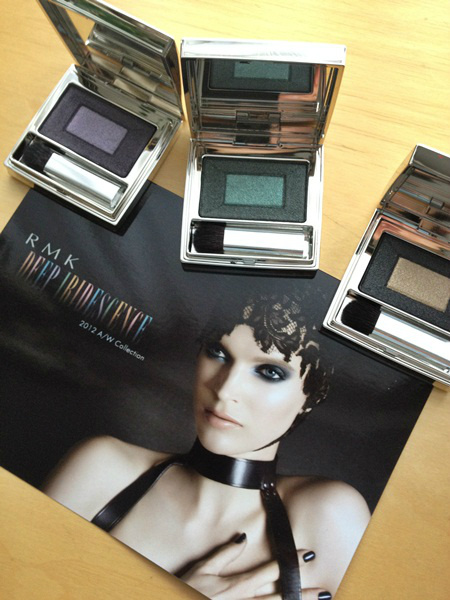 All three brands are owned by Kose. 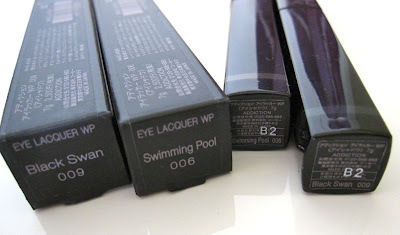 The sleek black tubes have a colored strip near the bottom to indicate the shade. The shade name is also printed on the sticker at one end but in tiny font that is not the easiest to read. These contain 7g each, same as the Eye Fantasists of yore. 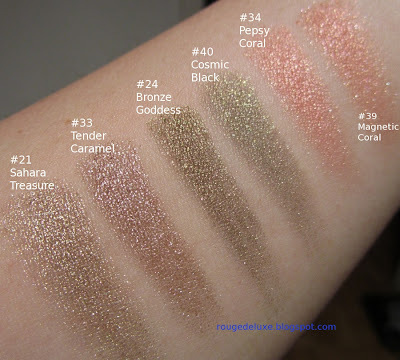 Six shades are swatched in this MakeupAlley post, along with several other Addiction products. The slanted doe-foot sponge applicator is pretty easy to control and pulls out of the tube well-coated with the liquid eyeshadow. The Eye Lacquers turned out to be fabulously well-pigmented, much more so than Eye Fantasists. 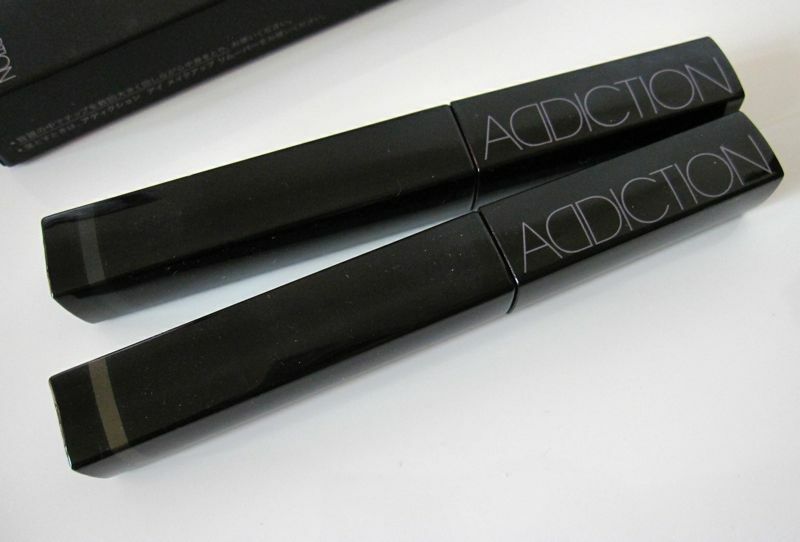 A tiny dab goes a lot way and so it's best to dot just a tiny bit on the eyelids, blend and then work up to your desired intensity. There is sufficient time for blending before these dry down completely. 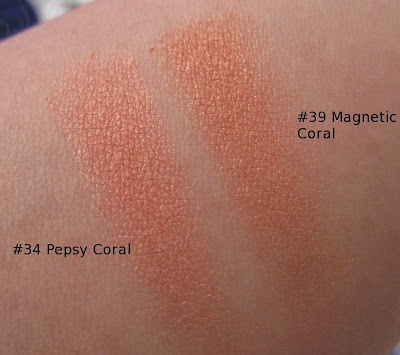 The pic above shows the swatches as freshly applied from just the tip of the sponge applicator while the pics below show the swatches progressively blended out. Both Swimming Pool and Black Swan contain silver shimmer, with Swimming Pool being more intensely shimmery than Black Swan. Under direct sunlight, these have a lively starry sparkle. Black Swan looks like liquid black tar when first applied, but when sheered out, it becomes more of a greyed charcoal . Worn without any primer underneath, the Eye Lacquers last well through more than eight hours of wear, although there is some minor creasing. I've been using my fingertip to smudge and blend the Eye Lacquers, but a brush is probably better for achieving a more precise application at the inner and outer corners, as well as for the lower eyelid. 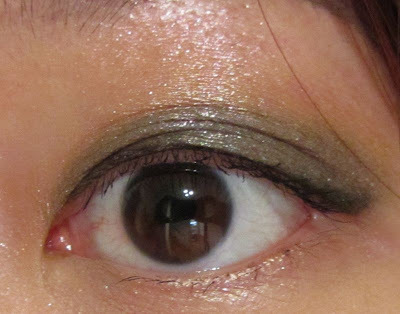 My usual way of wearing these is to apply the Eye Lacquer from the upper lashline to the crease, and apply a pearly white powder eyeshadow over the browbone area and lower lashline, plus a medium tone shade in the crease. 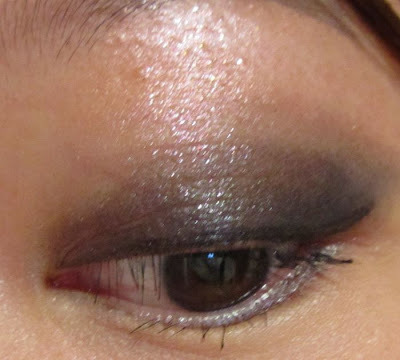 Below is the look done with Swimming Pool. 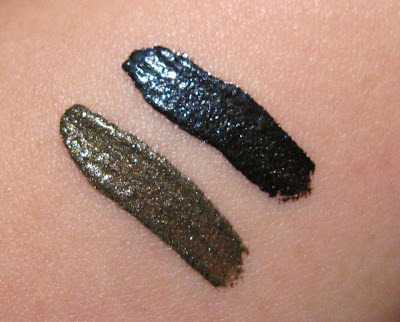 The lacquers are truly waterproof and did not budge at all when I ran the swatches on my arm under water and then rubbed them with my finger. Nevertheless, they are easy to remove with eye makeup remover or cleansing oil. 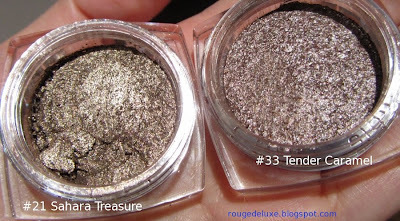 While I do like the two Eye Lacquers that I purchased, I probably won't buy any more as I'm saving up for the new powder eyeshadows, eyeliners and brushes coming out in the fall. Hope this review has been helpful! Ettusais will release a new BB Mineral White cream SPF45 PA+++ (1890yen) in three shades on 20 September in Japan. Comprising 63% beauty essence ingredients, it contains a white brightening powder to help make skin appear more radiant by 120% and helps to conceal pores while evening out the skin tone. Below is a pic tweeted by the Maquia editor. 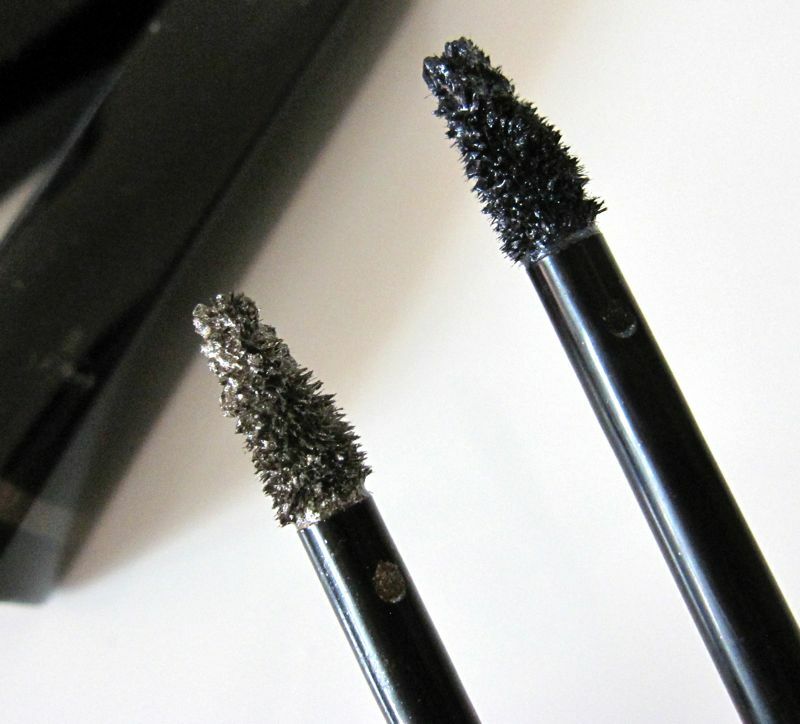 On 23 August, Ettusais will launch a new Lash Version Up mascara primer (1050yen, 6g) with black fibres and lash treatment ingredients, and a limited edition mini size of their Peeling Milk (525yen, 40ml). RMK will release its fall makeup collection, Deep Iridescence on 24 August in Japan. 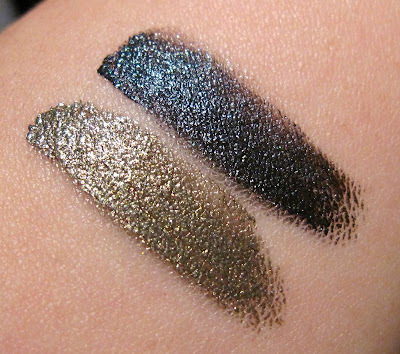 The six limited edition Iridescent Eyes duos (3675yen) are designed to help create smoky, iridescent eye looks without the need for complicated techniques. Pic below tweeted by Tomoichi. 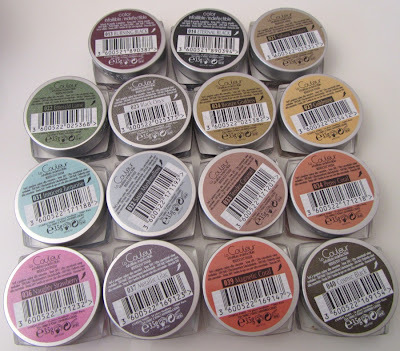 The collection also includes four limited edition W Irresistible Lips (3150yen) with a shimmery inner core, four Creamy Sheer Powder Cheeks (4200yen), three Nail Color EX (1575yen), and two Crayon & Powder Eyes (4200yen). See more pics on Kuri's Beauty Report, Kirei no Hone and Abe Sawako. 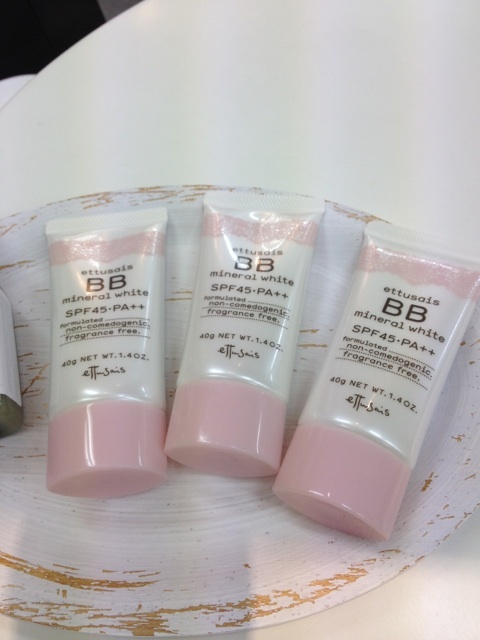 A new Gel Creamy Foundation SPF24 PA++ (5250yen, 30g) will be launched on 7 September, along with a foundation brush (2940yen). 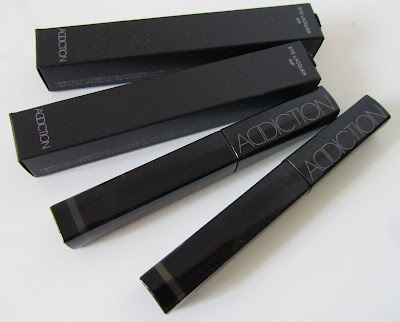 Formulated with amino jelly oil and micro mist powder, the foundation provides coverage and oil control, while retaining the translucent factor with a semi-matte finish. It will be available in 7 shades. Pic below tweeted by Abe Sawako. 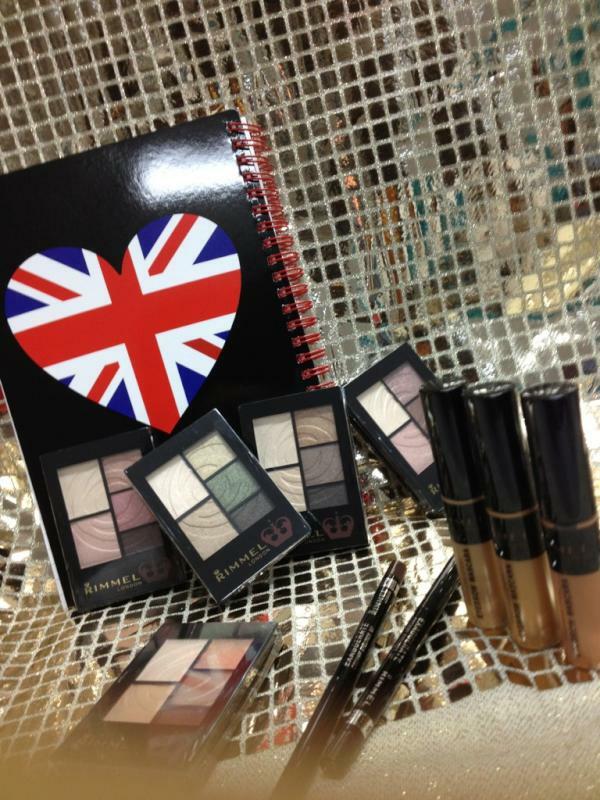 Rimmel will release a Mellow Latte Colors collection on 3 August in Japan. (Rimmel releases different products in Japan, so this might not be available elsewhere.) 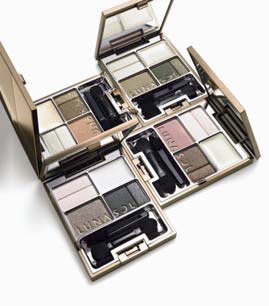 The Latte Eyes palettes (1680yen) contain 5 shades each, including a creamy base and come in five variations. 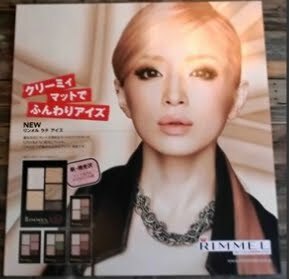 The ad features Japanese songstress Ayumi Hamasaki. The collection also includes two Exaggerate Creamy Eyeliner WP (840yen) with a new crayon formula, and Professional Eyebrow Mascara in three shades (1260yen). Below is a pic tweeted by Jelly magazine. See more pics here, here, and here. 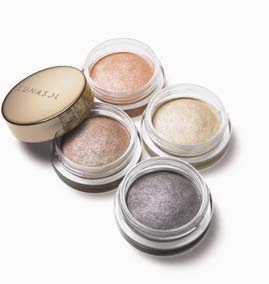 Lavshuca kicks off its brand renewal this fall on 1 August with the release of two Love Hearty Eyes palettes, Girly Whipped Cheek in four shades and Double Colors Lipstick in five shades. 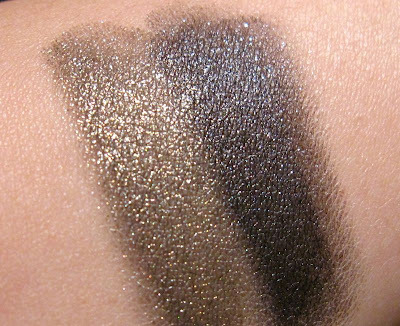 The Love Party Eyes palettes are limited edition shimmery eyeshadow trios. The Girly Whipped Cheeks are cream blushes with a soft whipped cream texture. 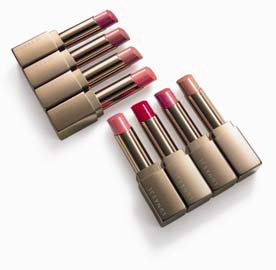 The Double Colors Lipstick is composed of a glow color ("A" in the diagram below) and a line color ("B"). The new Lavshuca brand theme is "girly and modern" with makeup in pink packaging and heart motifs, to help transform the mundane into a wonderland. 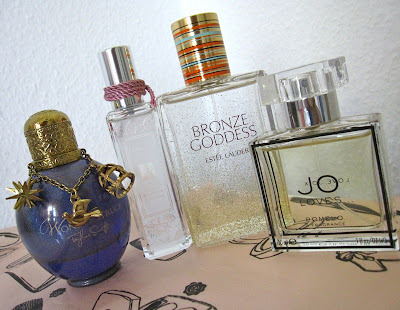 In November, Lavshuca is slated to release fragrance products. 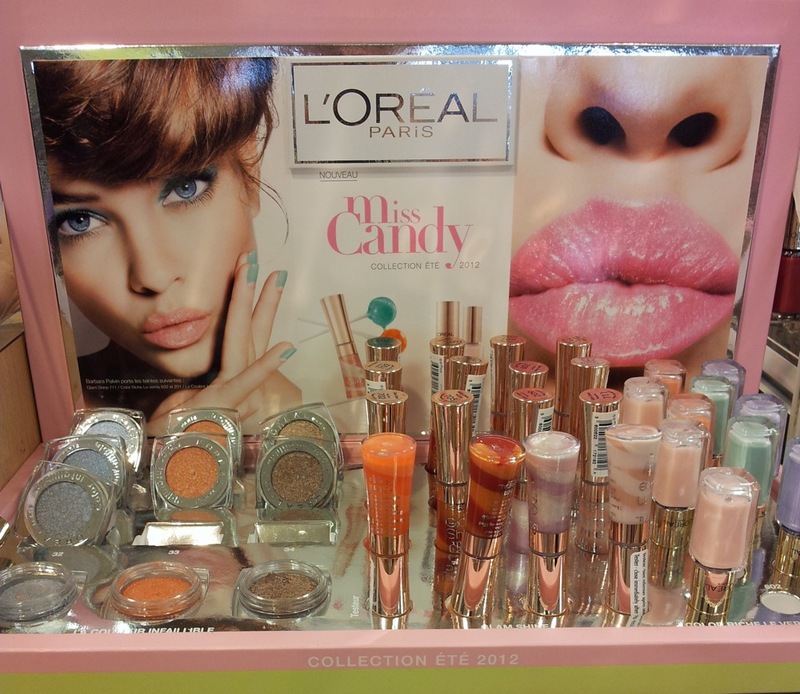 The L'Oreal Miss Candy collection has just been released in France. Although the collection is available in several countries, the number of products and shades available appear to differ depending on the country. The French edition includes three Color Infallibles in #32 Sassy Marshmallow (swatched here), #33 Tender Caramel and #34 Pepsy Coral, four Glam Shine lipglosses with a swirly design, and four pastel nail polishes. 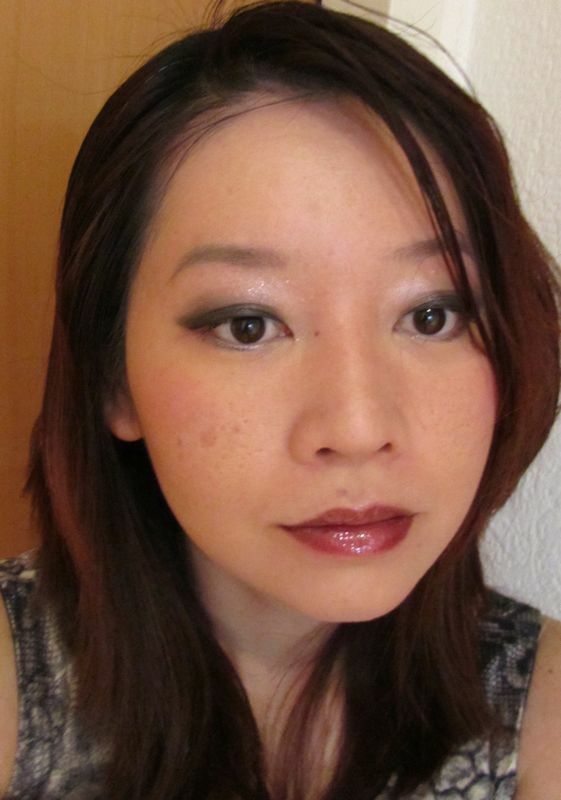 You can see swatches of the lipglosses on the Sunday Girl and here. 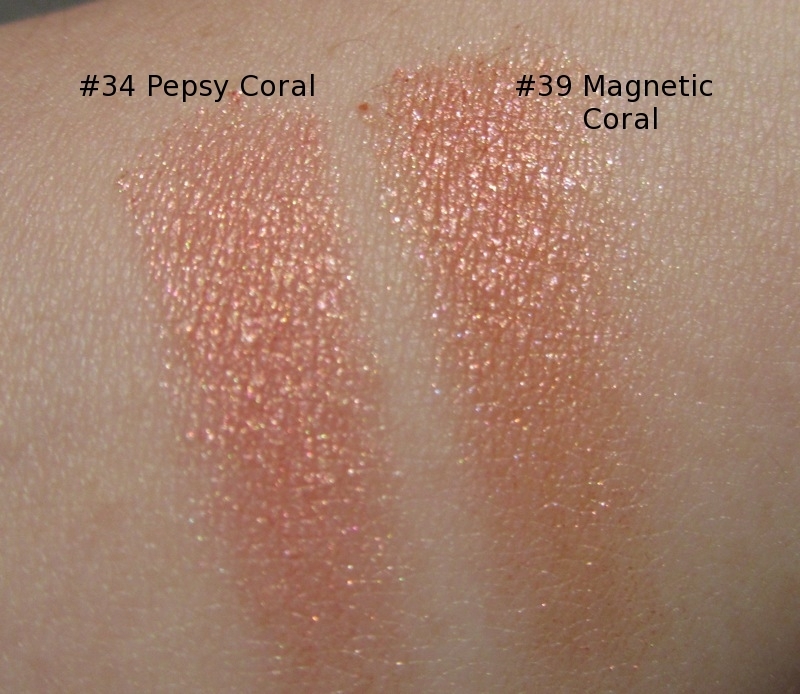 #34 Pepsy Coral is a coral orange shade that is very similar to #39 Magnetic Coral except that Pepsy Coral contains flecks of pale gold whereas Magnetic Coral contains flecks of pink and gold. 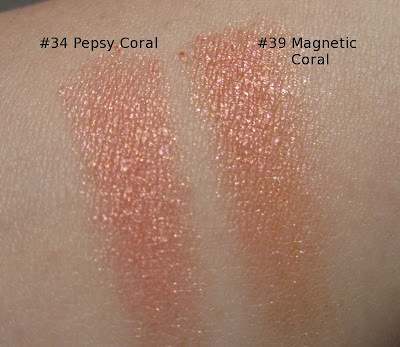 When swatched, Magnetic Coral is a tinge more orange-toned while Pepsy Coral leans more rose gold. Nevertheless, I found Magnetic Coral to be surprisingly easy to wear, as it is not that loud when applied on the eyelids. 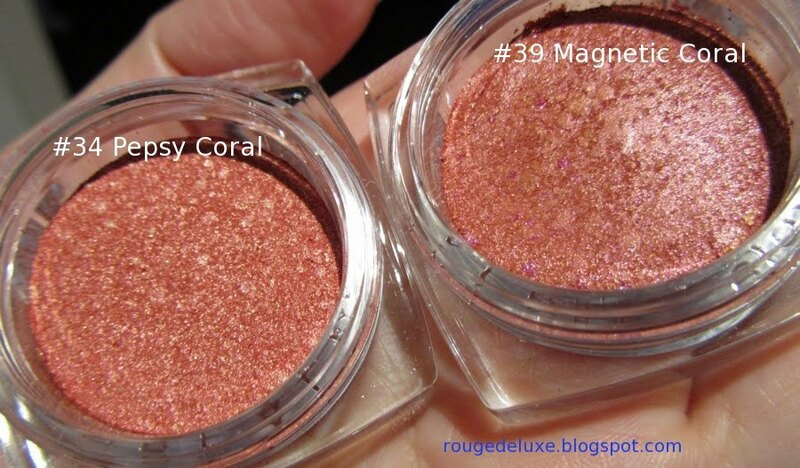 The pic above was taken under a spot light which shows off the shimmery finish while the pic below was taken under normal room light. 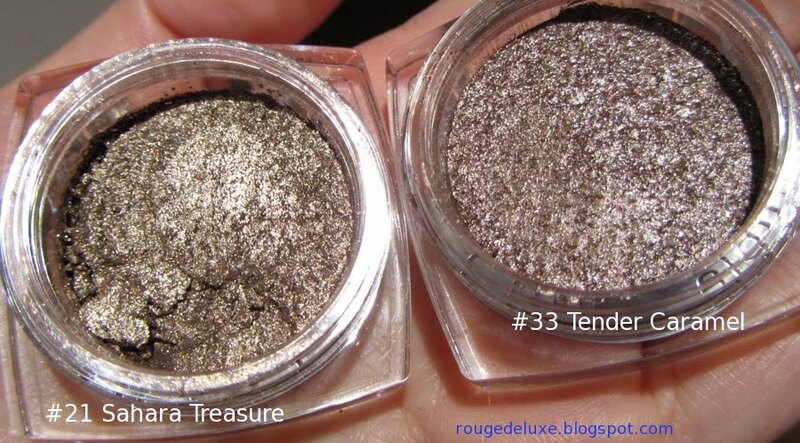 #33 Tender Caramel is a silvery taupe brown. I also picked up #40 Cosmic Black, an antique bronze with black flecks, from the L'Or Electric collection. This looks similar to #24 Bronze Godddess but swatches a bit more sheer and murky. 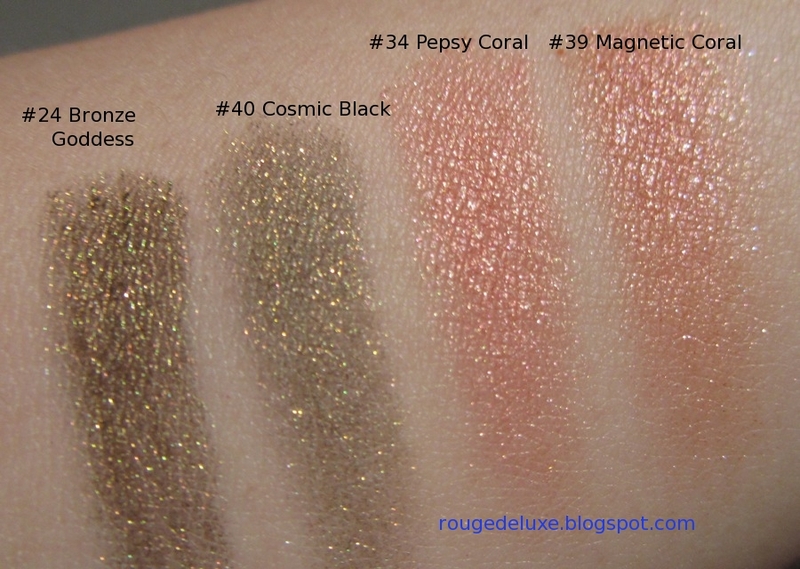 These swatches were 1-2 swipes each over bare skin without any primer, using my fingertip. 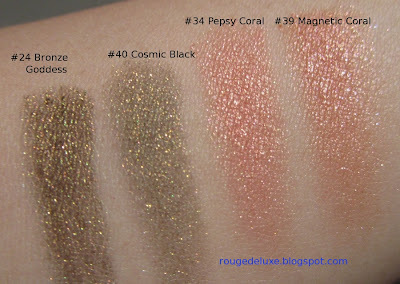 All had a smooth, velvety texture. 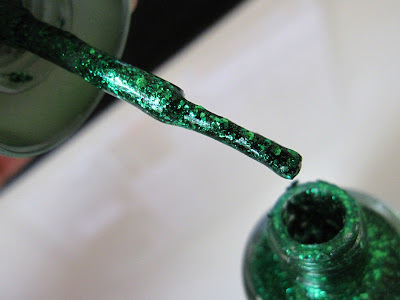 Although some of the Color Infallibles get clumpy in the pot with chunks that stick to the black plastic stopper, but that doesn't affect how well they apply. My current stash of Infallibles, which has doubled this spring thanks to the Cannes/L'Or Electric and Miss Candy collections.